Really amazing anime I must admit!!! Thank you!!! Yes I do really like his character!! 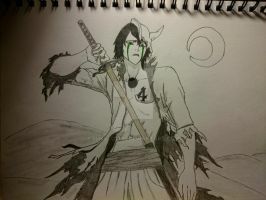 awwww man you have alot of awesomeness coming up I can guarantee you Ulquiorra is pretty dam epic. Genuinely excited for you. And it is actually highly praised Bleach! and so it should be! yer I can't wait either. 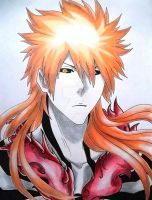 I can't wait for Ichigo to master his hollow form. 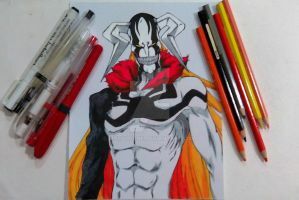 At the moment I have no idea how ichigo could beat ulquiorra. He just seems sooo powerful!! yeeerrrrrr bleach has a massive fan base which is cool. I dunno lots of people prefer naruto but hmm I have strong opinions on naruto but I am almost worried to say them because the naruto fans might hate me haha. Basically I read naruto and I haven't watched it yet. But I read the whole part of what you would call "naruto unleashed" and I was so addicted. It was some of the highest quality manga I'd ever read. Then after the time skip the manga totally changed and it didn't have the same drive or focus on storyline. I have read over 500 chapters but it feels like there isn't a huge amount going on a lot of the time and it only reaches its earlier greatness a handful of times again after timeskip. I kinda gave up on it. Maybe I was simply missing something? Maybe I should give it another go but with the anime this time? I dunno I seriously loved it before though.